Although giant panda, a national treasure of , has the body of a tiger and a bear, it does not know the law of the jungle. In both white and black colors, it is friendly and lovely just like a portrait of the Chinese Nation with a history of 5,000 years. The ancient Sichuan people, from Lei Zu named Can Cong, started to plant mulberry and raise silkworm, with wonderful workmanship excelling nature, and wove Sichuan Brocade for more than 3,000 years. 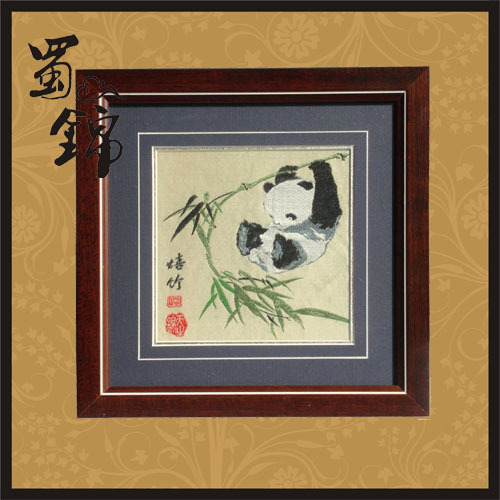 And now great masters of Sichuan Brocade went to Wolong Giant Panda Research Center to draw pictures of giant pandas in their natural state, and wove the Ode to Giant Panda for people to appreciate. How lovely they are!